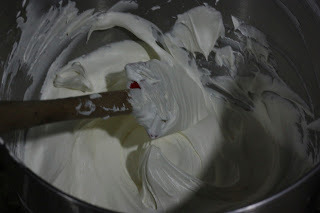 1 container of frosting, I chose the cream cheese flavored cool whip frosting. 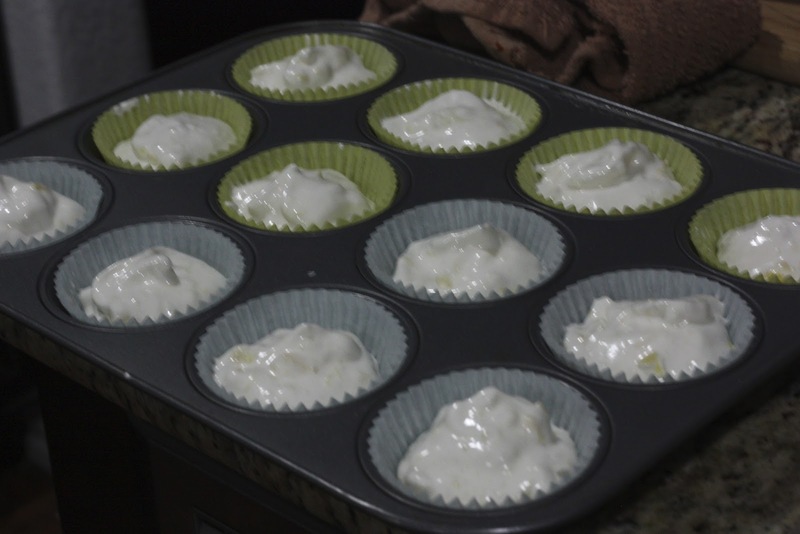 Using a blender, I blended up the crushed pineapple so that it was smooth. The first time I made this recipe I didn't and the small chuncks of pineapple settled to the bottom of the cake and was kind of gooey, so I blended it this time to create a more even cake. 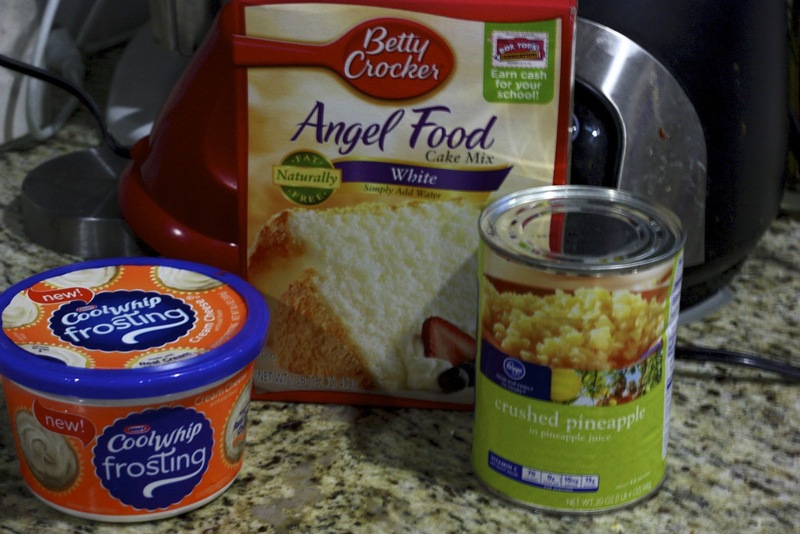 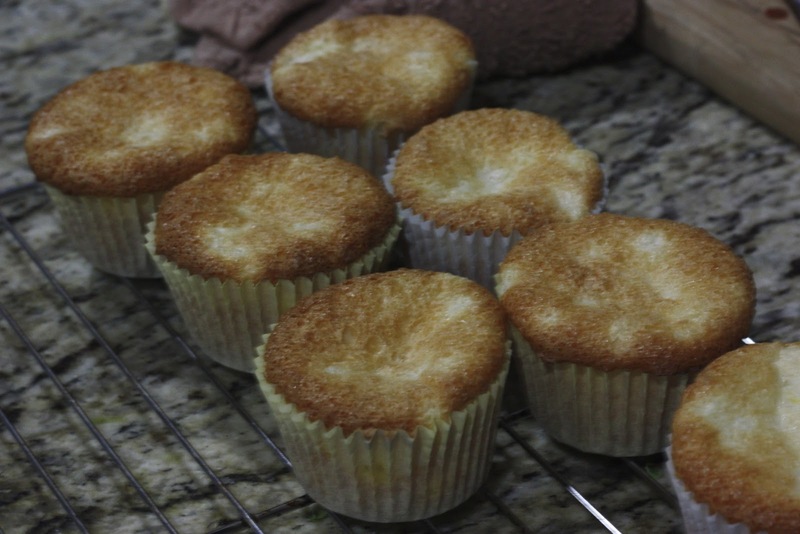 Using a stand mixer or hand mixer blend the cake mix and pineapple together until it has at least tripled in size. 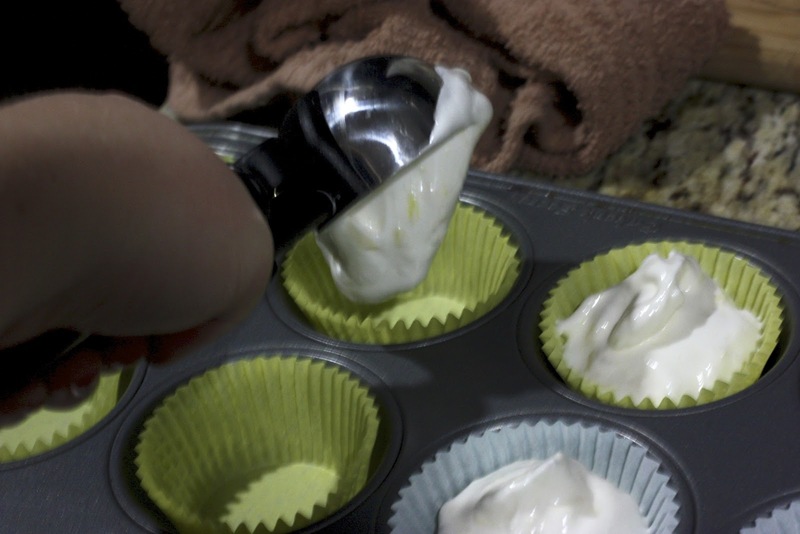 Then I used an ice cream scoop to fill cupcake tins. Bake at 350 for 10-12 minutes or until golden brown on top. 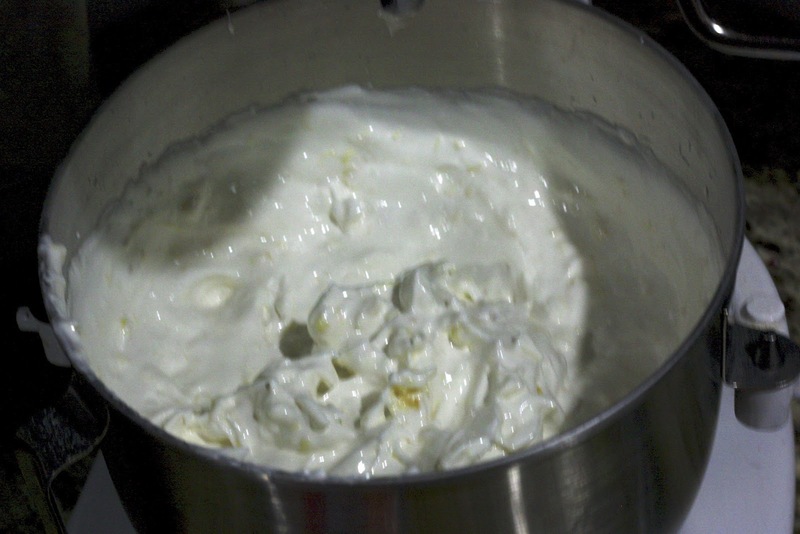 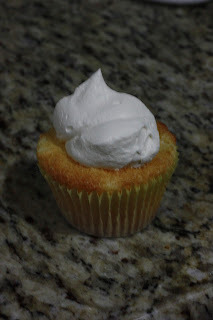 I then whipped my cream cheese flavored cool whip frosting in the stand mixer. 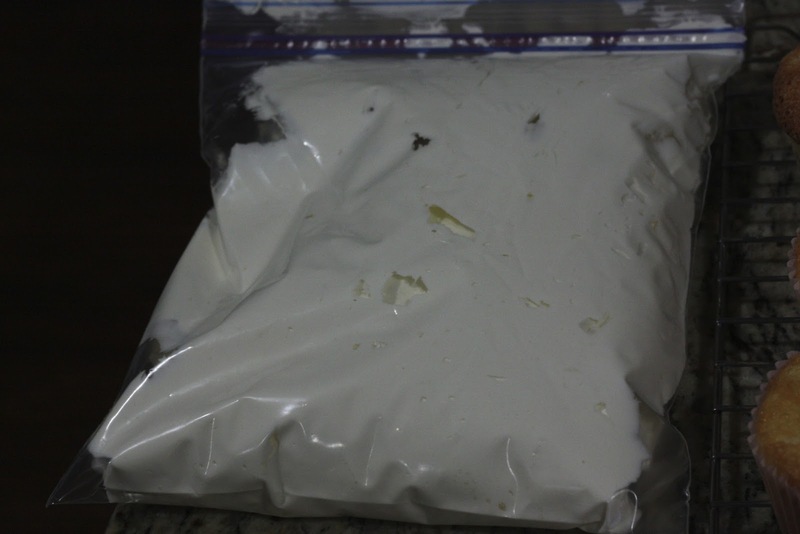 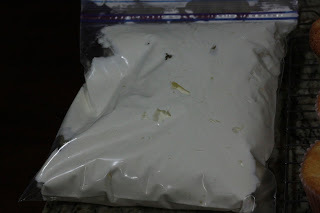 I placed it in a large ziplock bag and snipped the edge off one side to create a pastry bag. Then I frosted these delicious little babies.